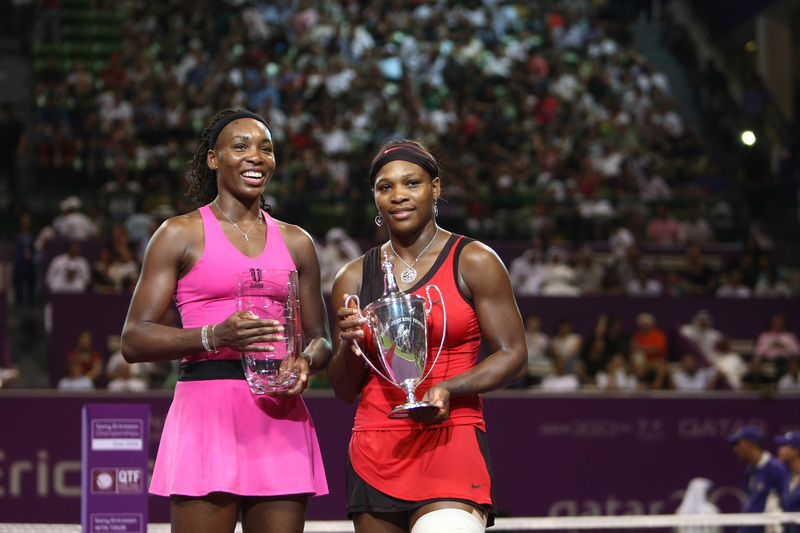 Serena and Venus Williams will face each other for the 27th time in their careers on Tuesday night. The sisters' quarterfinal match-up during the U.S. Open marks one of the most important games in either's careers. Serena is currently the best player in the world and a win against her older sister would cement her as one of the greatest players of all time. Venus, meanwhile, is looking to lessen the gap between herself and her sister, as she currently ranks 23rd in the world. Despite the heated rivalry, the two get along swimmingly. In fact, they get along so well that they're roommates and have been so for over a decade and a half. So, where do the Williams sisters live? The tennis superstars purchased a home in Palm Beach Gardens, Florida, in 1998 for just $525,000, though the six bedroom, seven and a half bath estate is now valued at well over twice as much. The gated community they live in, BallenIsles Country Club, is home to just over 1,500 people. Although all new properties have been acquired, there are still 99 homes available in the gated community. The Williams' sisters 11,000 square foot home was finished in 2000, with additions being completed in 2010. The duo's sprawling estate, which includes a gazebo, two pools, and a roundabout driveway for their copious vehicles, had an additional story built on a one-story wing as well as the remodeling of Serena's bathroom five years ago. Though their estate is incredibly elaborate, it's a far cry from what the sisters could ultimately afford to purchase if they decided to move to another, more extravagant mansion. Serena ranks at the top spot for heftiest career prize sums awarded with over $73 million in earnings while Venus is in third place with over $31 million worth of prizes. Likewise, CelebrityNetWorth pegs Serena as worth a cumulative $140 million while Venus is reportedly worth $75 million. They are sisters. They live together. They grew up together playing tennis. Of course they love each other, but then have to be professional and go out on the court and play each other so many times in the finals of Grand Slams, in the biggest matches. They both were No. 1’s of the world: Chapeau for that. But I don’t know if I’ll be able to play my brother. It’s not possible. I would not be able to handle on the court. Only Tuesday night's quarterfinal match-up can determine who is the most dominating player in Tennis today. No matter what, at the end of the day, the two will still return to the same house as legends of the sport.